Robert Lewis Dear is seen in an undated picture released by the Colorado Springs Police Department on November 28, 2015. Authorities still don’t know why Robert Lewis Dear decided to take a break from what sounds like a loner life to pick up a weapon and open fire at a Planned Parenthood in Colorado Springs. But the four words he uttered after his arrest seem to pretty clearly suggest to anti-abortion sentiment for his attacks. The 57-year-old told police “no more baby parts” after his arrest, a law enforcement official told the Associated Press. 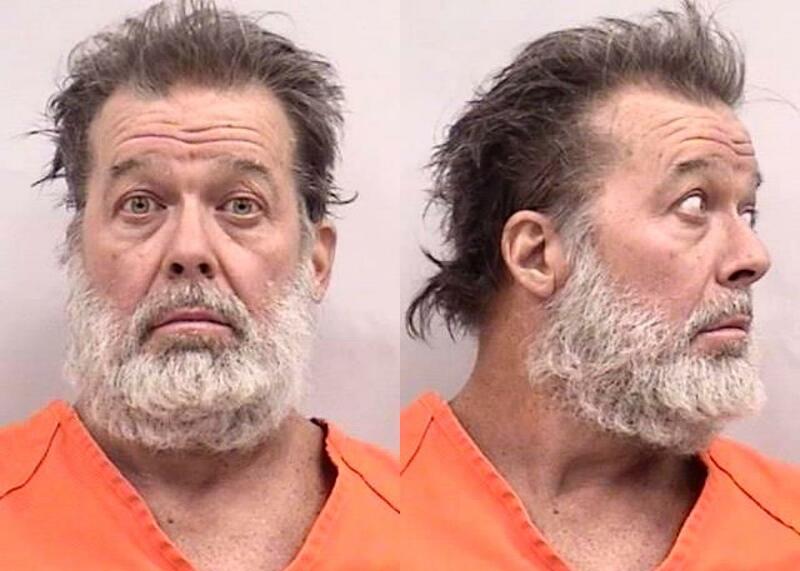 Planned Parenthood also says witnesses claim the gunman was motivated by abortion. Three people were killed in the shootout but it now seems the tragedy could have been much worse. Police found propane tanks outside Dear’s car, leading investigators to believe his plan was to shoot at them from the clinic to spark an explosion. People who knew him say even though Dear was barely talked to others, he sometimes got into arguments with neighbors. He lived with a woman in a remote trailer park without running water or electricity. “It looks like white-trash living at its finest—like a bomb went off and everything was thrown in the air,” his neighbor, Zigmond Post, tells the Denver Post.